You are currently browsing the Athletic Tape Info Center blog archives for May, 2010. Airrosti (Applied Integration for the Rapid Recovery of Soft Tissue Injuries) is a unique approach to treating injuries to the soft tissues of the body. Based in Texas, Airrosti initially focused on the elite athlete population and rapidly gained a reputation for helping athletes recover from strains, sprains and overuse injuries in record time. Their track record is impressive – the average recovery time from common strains and sprains is 1-3 visits. I have been anxious to personally experience Airrosti for a couple of reasons: (1) I’m prone to soft tissue injuries and am always looking for anything that will get me back on the tennis courts sooner, and (2) I’d heard that virtually everyone who goes for an Arrosti treatment leaves with kinesiology tape applied to the area being treated. My recent flare up of iliotibial band syndrome (IT Band) provided the perfect opportunity to visit my local Airrosti provider. I had been forewarned that the treatments could be extremely painful, and that proved to be true. The “manual therapy” part of the treatment involves hands-on manipulation of the fascia, the fibrous tissue that surrounds and connects every other tissue in the body. Fascia can become tightened, twisted or distorted as a result of trauma or overuse, and will remain that way unless manually corrected. Airrosti providers manipulate the fascia through deep, hands-on “massage” with their thumbs. In my case, this involved tracing the entire length of my iliotibial tract and quadriceps muscles, beginning at the knee and ending at the hip. I quickly developed a nice set of “racing stripes” as I bruised under the pressure of the manipulation. However, being an athlete familiar with the pain of injuries as well as the pain of rehab, I immediately knew that this was the “good” kind of pain, associated with the release of tissues to a healthier state. A peek into the supply cupboard showed a good supply of the three major brands of kinesiology tape – Kinesio Tape, SpiderTech Tape and RockTape. I had the privilege of being the first patient taped with Airrosti’s new private-labeled RockTape. The black Rock Tape with the Airrosti name and logo in white made quite a fashion statement as I left in my shorts. What makes kinesiology taping such a great fit for Airrosti? After only one Airrosti treatment, I was able to complete my next run with no ITB pain. I’ll return for two additional treatments next week to complete the process. And, in the meantime, I’ll be a walking, running, tennis playing advertisement for both Airrosti and Rock Tape! Although used in a wide variety of clinical settings, the growth of kinesiology taping in chiropractic practices has been nothing short of phenomenal. Just this month, a comprehensive article on kinesiology taping was published in the American Chiropractic Association News (see link at bottom of post for complete article). Kinesiology taping is an ideal modality for use in chiropractic settings. Chiropractors possess an in-depth understanding of the interplay between the body’s neurological system, muscular system and its structural and fascial frameworks. Effective kinesiology taping involves all of these systems, allowing chiropractors to quickly grasp the principles and techniques for applying kinesiology tape. Kinesiology tape works best as one component of a patient’s treatment plan, which makes it an ideal fit with other clinical modalities. It can be applied at the end of a visit, after an adjustment and any other treatments have been completed. Because a kinesio taping application can remain comfortably in place for several days, it can reinforce and extend the benefits of the in-office procedures. As word about the benefits of kinesiology taping spreads, more and more patients are actively seeking practitioners who offer kinesiology taping as part of their clinical programs. Offering kinesiology taping can enhance retention of current patients as well as attract new patients who may not have previously considered chiropractic as a treatment for their injuries or health conditions. Chiropractors can learn about kinesiology taping through online sources, by reading kinesiology taping instruction manuals or by taking kinesiology taping certification programs. Click Here to read the entire ACA News article on kinesiology taping. Kinesiology tape has become a mainstream item in the treatment of sports injuries and other health conditions involving pain, inflammation and muscle dysfunction. Now, however, a new kinesiology tape combined with a new kinesiology taping technique is helping athletes run faster, jump higher and last longer. 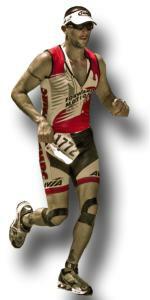 The tape is called RockTape, a kinesiology tape engineered especially for performance athletes. The taping technique is called PowerTaping, and involves taping entire “kinetic chains” responsible for specific athletic activities. This post is going to focus on the features of RockTape that allow it to enhance athletic performance. Most kinesiology tapes have a 130-140% longitudinal stretch that is the key to the amazing pain relief and anti-inflammatory benefits they produce. Rock Tape, however, has a 190% longitudinal stretch, coupled with a high-quality nylon reinforcement of the cotton fibers. This gives RockTape a superior “snap back” ability compared to other kinesiology tapes, similar to the difference between a strong, thick rubber band and a weaker, thinner one. This enlarged photograph shows a single strand of Rock Tape elastic fiber in the stretched position. Note the similarity to the coils in a spring. The tightly wound elastic coils allow the tape to snap back to its resting position very quickly when released. When RockTape is stretched, then applied to a muscle that is contracting and relaxing, the recoil properties of the tape help the muscles return to a resting state more quickly after every contraction. This assistance in returning to a resting position allows muscles to expend less energy as they continually contract and relax. This results in less muscle fatigue and greater endurance – a huge benefit to athletes in all endurance sports. Power athletes can also benefit from the same principle, as the snap back phenomenon enhances the speed and power of the contraction/relaxation cycle. Click here to learn more about PowerTaping techniques for athletes.